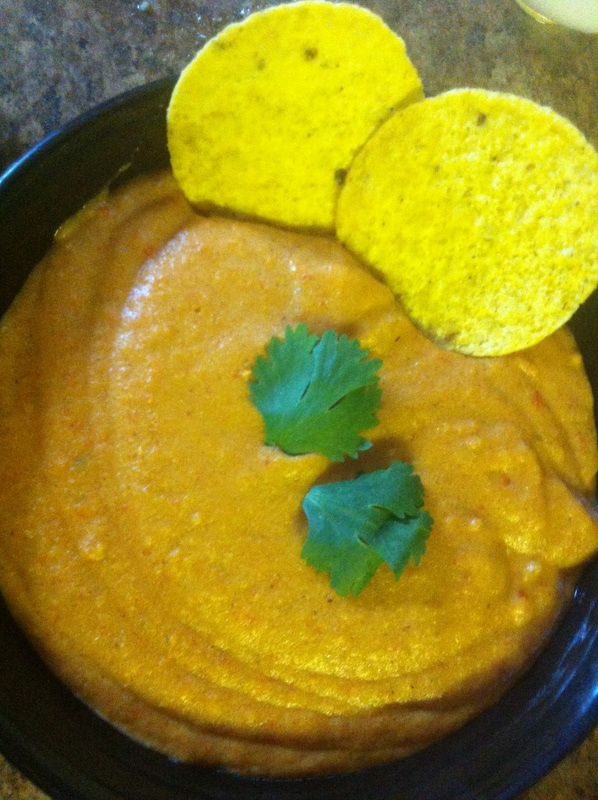 Vegan Cheese Sauce: Not an Oxymoron (well…sort of an oxymoron)! I looove cheese sauce, which is a bit of a problem if you’re trying to eat vegan. The best REAL cheese sauce I’ve ever made or tasted is also the quickest and easiest from Bristol Foodie. It tastes great on anything from vegetables to pasta. 1 1/2 tsp Braggs or tamari (I just used regular soy sauce). It turned out very well, and I’ve now tried it atop both a veggie dog and a veggie burger. 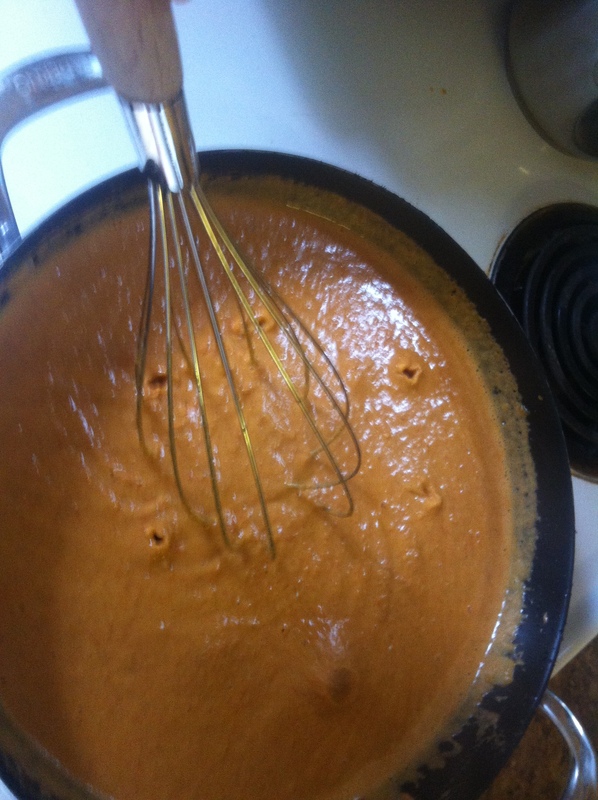 So heartened was I by my success that I decided to attempt vegan queso. Now, I’ve never actually tasted queso and, in fact, had never even heard of it until I read about it on a vegan forum where someone was raving about a new commercial vegan queso that tasted just like the real thing. Well, I looked up queso and found that it’s just the type of low-class food my hillbilly heart loves: in fact most recipes for real queso call for not much more than a block of melted velveeta and a cup of salsa. And so began my quest for a delicious vegan version of queso….and, indeed, all it had to be was delicious; it didn’t need to taste like the real thing since (as mentioned above), I’ve never actually tasted it. I made a couple of changes, which I’ll note below, and it turned out to be delicious. 1 cup cashews, soaked in water for at least 2 hours or overnight (I soaked mine for an hour and a half and they fine, but I started with hot tapwater). The instructions on PPK are as follows: Drain the cashews. In a blender or food processor, puree them with vegetable broth, miso and cornstarch until very smooth. This could take anywhere from 5 to 10 minutes depending on your device. Rub between your fingers to test; slight graininess is okay, but try to get it as smooth as possible. I followed the instructions, but screwed up the lemon juice by adding it too early, so I just added more again at the end. I topped it with some fresh chopped cilantro, and J and I had some as a dip with tortilla chips. It is so delicious that even James liked it (and he usually won’t eat vegan versions of cheese).